↑ Halberstadt, Max (c. 1921). 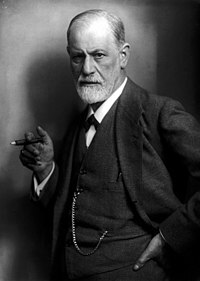 "Sigmund Freud, half-length portrait, facing left, holding cigar in right hand". Library of Congress. पहुँचतिथी जून 8, 2017.